Needles fail in latest study of opiate detox. Acupuncture as a treatment for drug addiction took another punch recently in a study published in the Journal of Substance Abuse Treatment. In “Auricular acupuncture as an adjunct to opiate detoxification treatment,” the study authors investigated whether acupuncture would “add value” to a standard methadone-based detoxification process. For the two-week study, 82 opiate-addicted patients were randomly assigned to either ear acupuncture by qualified acupuncturists, or the attachment of ear clips by non-professionals. Each day, the study participants were tested for withdrawal severity and craving. 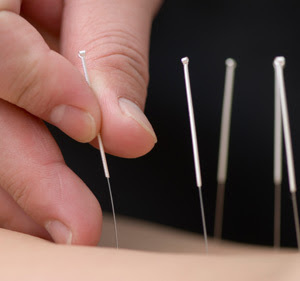 The results, say the authors, “are consistent with the findings of other studies which failed to find any effect of acupuncture in the treatment of drug dependence.” Moreover, the authors conclude, this finding is “particularly disappointing as if anything the circumstances favored the acupuncture option,” since in contrast “the alternative may not have been seen as a convincing therapy.” Nevertheless, “like the featured study, previous studies of acupuncture in the treatment of opiate addiction have been unconvincing.... The ‘ineffective’ verdict on acupuncture extends to the treatment of cocaine dependence,” the authors maintain, while an attempt to replicate earlier positive findings on acupuncture for alcohol dependence found no benefits, either. Of course, this is only one study out of many, and acupuncture enthusiasts remain as optimistic as ever. Proponents of acupuncture treatment continue to petition the National Institute on Drug Abuse (NIDA) for endorsement. Most reports of success remain anecdotal. Nonetheless, the National Acupuncture Detoxification Association estimates that there are currently 200 acupuncture detoxification programs operating in the United States and Europe. The added thoughts at the end regarding the potential attractor quality of acupuncture suggest one explanation for why there is so much testimony supporting the effectiveness of ear acupuncture in treating addiction. There are ways of designing studies to test such hypotheses. Additionally, there are other reasons why this study may not be the final word. The assumption is that "sham acupuncture" is ineffective. Why did the study not compare the group receiving acupuncture, both "sham" and the presumably authentic protocol against a control group that received no ear manipulation whatsoever? A higher success rate for the broader acupuncture group would be suggestive and would demand further, clarifying studies. An absence of any success differential would also be illustrative. "Why did the study not compare the group receiving acupuncture, both "sham" and the presumably authentic protocol against a control group that received no ear manipulation whatsoever?" A valid criticism. I wish more studies incorporated that "third arm" you have suggested. this study was carried out on patients being treated with methadone.i dont know how many people know this but methadone is a sham itself. compare the height of withdrawal symptoms of heroin (72 hours)with methadone (3 weeks).why are opiate addicts given a drug which is harder to come off than heroin itself? im EA qualified but pretty skeptical generally. i have WATCHED PEOPLE IMPROVE with EA. ive seen people destroyed by methadone.more long term studies are needed as the world of drug recovery is a chaotic one. This article made me feel sad. Not because they are saying that acupuncture doesn't work for addiction, but because they are giving out false information. I am currently 18 months clean from an opiate addiction, yes I went to rehab and I had relapsed many times until I got acupuncture. It has done wonders for me and has given me the will power and serenity and calmness in my head I need. The "sham" is this article. I also believe that they should have done a control group any true scientist knows an experiment has to have one to even prove anything. What I truely believe that I had to have to right help to get through my withdrawl process and then get acupuncture to help me with the cravings and keep me clean and thanks to acupuncture I am 18 months clean and it is a miracle! I agree completely. All one can conclude from this study is that ear clips are just as effective or ineffective as needles. I am a licensed acupuncturist and I happen to use ear seeds (tiny seeds affixed to adhesive tape which stimulate points on the ear) all the time in lieu of needles, because they can stay in for a few days and are really effective. I call it the 'to go' treatment. And what was the nature of the ear clips exactly? And by the way, the ear is pretty much covered in acupuncture points, it is a continuum of points really, so any application of clips, needles, seeds, etc. on the ear is going to stimulate acupuncture points. Furthermore, I believe there is already research that demonstrates a systemic effect of acupuncture which does not depend on the points selected. In 1997 the NIH released research on acupuncture that stated one of the side effects of acupuncture is 'a feeling of well being'. It was a big joke at the conference because it was listed as a side effect, and typically side effects are unwanted effects. But researchers didn't know how to categorize it. Anyway, I suspect that this 'feeling of well being' is actually some kind of endorphin release or subtle effect on neurotransmitters in the brain. So I suspect that in general acupuncture is good for addiction no matter which points are used because of these subtle effects on the brain, which in turn curb cravings, induce a state of relaxation, reduce irritability etc. Obviously, a more skilled practitioner can create different effects through point selection, needle stimulation, number of needles used and duration and frequency of treatment. And that is generally an individualized treatment, which is really hard to study scientifically. But I love your blog and your articles. 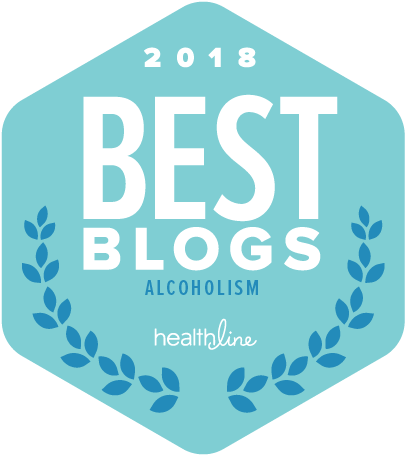 Thank you for all the interesting information on addiction. yes, e-mail response if you have one. I seriously doubt any U.S. publication would come out and give anyone the "hard evidence" on this subject, DUE TO THE FACT THAT THE FDA, AND DRUG COMPANIES MAKING BILLIONS OFF METHOD 1, OR EVEN WORSE SUBOXONE.